We build and install solar systems for commercial and industrial clients. 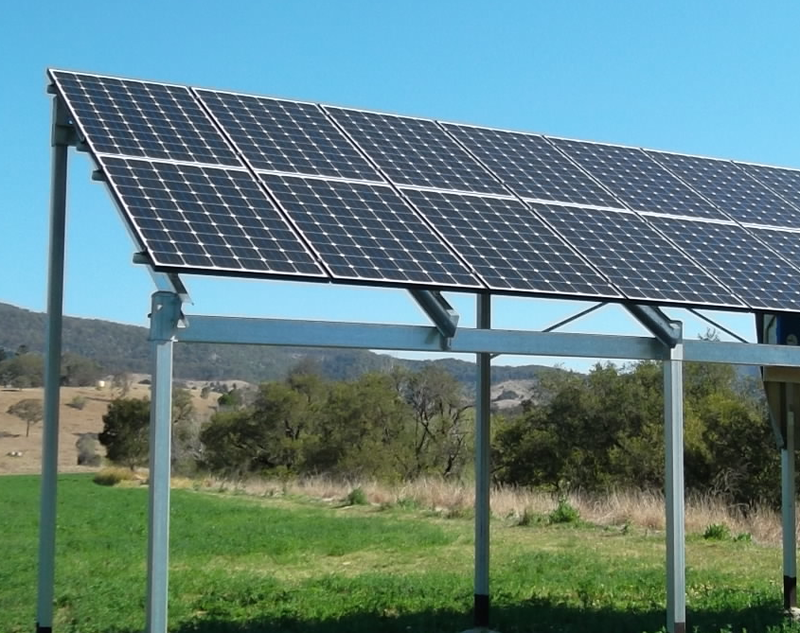 We specialise in installation of solar systems for rural and agribusiness. We service South East QLD & Northern NSW and come to you for all on-site meetings. AAES caters directly to the commercial and industrial community, to team up with clients to reduce ongoing and ever-increasing energy costs. We come to you – from Roma to Brisbane, Gladstone to Lismore, we service South East Qld, Northern NSW and come directly to you for all on-site meetings. We are specialists in solar and PV solutions – AAES team members are solar brokers - experts and specialists in rural and agricultural solar systems. We offer customised solutions – we will build a system for you based on the information you supply, finding the perfect system for commercial and rural projects as well as industrial and agribusiness. We analyse on a case-by-case basis – we create custom-made systems to ensure they will work for you. To start reducing your energy costs today, Request a Quote Online - we will arrange a time to come to you to get the process started.